Are you looking for LED lighting fixtures that are both beautiful and affordable? With Mr. Lighting, you can shop online for your lighting fixtures. Replacing your existing light fixtures with LED are great for conserving energy. LED lights last approximately 50,000-60,000 hours, far longer than traditional incandescent bulb. This equates to enormous savings on hydro. You will also change your bulbs less often. At Mr Lighting we offer lighting fixtures for every room. Whether for the home, workplace, or warehouse, our high quality lighting fixtures will glow up your space. Mr Lighting is your one-stop-shop for commercial lighting fixtures and accessories. We have everything you need to illuminate your business, office, parking lot, and warehouse with the lights that are affordable, durable, energy efficient, and at prices that you'll surely love. Light fixtures might seem like an afterthought, but they play big role in your energy costs. 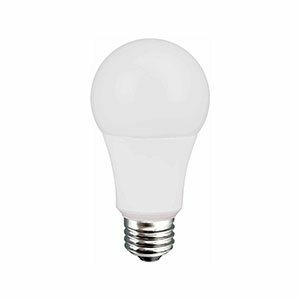 The average LED bulb consumes approximately $1 per year in electricity, whereas incandescents consume around $5. Multiply that cost by every lightbulb in your office, and multiply that number by the years you’ve been in business. You can save money by switching to LED lighting fixtures. It will also show that you’re business is environmentally aware. Every year thousands of incandescent bulbs are thrown out. 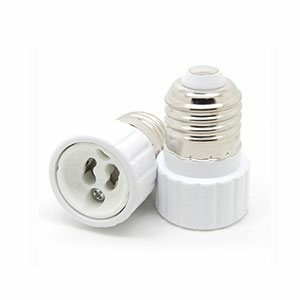 The electricity consumption of incandescents is also an issue. If every business took a look at it’s lighting choices, an enormous impact can be made in reducing carbon emissions. 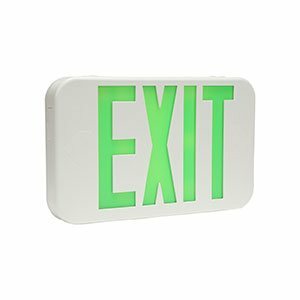 Wall packs are a type of commercial lighting fixture that are typically installed on the exterior walls of buildings. They are commonly used to illuminate areas for pedestrians and vehicles. They are also an ideal solution for security purposes. In most cases, multiple lamps are installed on a single wall, with the spacing of the fixtures intended to provide lighting around the exterior of a building at ground level. Wall packs come with durable features like shatter-resistant glass to protect against bad weather and vandalism. 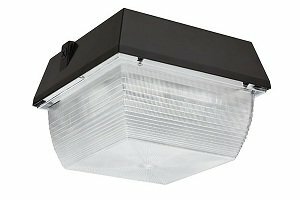 MrLighting.com offers a variety of wall pack lighting that includes compact fluorescent, high-pressure sodium, metal halide, and LED lights. 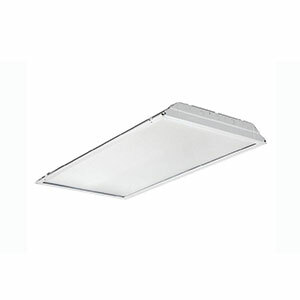 Fluorescent high bay fixtures are generally used for industrial and commercial lighting applications. They are mounted on ceilings that range in height from 20 to 45 feet. You’ll commonly see them in assembly lines, factories, storage facilities, warehouses, workshops, hangars, etc. Choose from our T5 and T8 lights with options for 2, 3, 4, and 6 lamps. Our LED lights are high quality and guaranteed to please with their ease of installation, brightness, and longevity. There’s a reason that fluorescent high bay lighting is the new standard in industrial and commercial lighting. 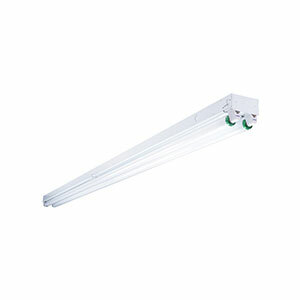 Fluorescent strip lights are ideally suited for general or task lighting. They are specifically designed and crafted to increase visibility in workshops, utility rooms, garages, and other commercial areas. 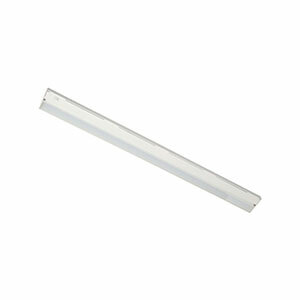 Our fluorescent strip lights are available in 1-4 lamp fixtures. Create beautiful lighting in your home, office, commercial or industrial building with our suspended fluorescent fixtures. They are ideal for retail lighting, whether surface or pendant mounted, because they provide diffused light that is visually comfortable. You can choose from 2, 3, 4 or 6 lamp options. Vapor tight fluorescent fixtures provide a wide range of visible light and up to 40% in energy savings. These long, strip fixtures are ideal for areas that are prone to dirt, dust, humidity, and incidental water spray. 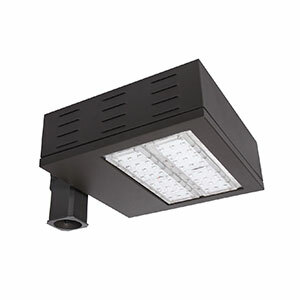 Flood light fixtures are broad-beamed, high-intensity artificial lights. They are mostly used for sporting venues, outdoor events, parking lots, among others. The more focused kinds are frequently used for stage lighting during live performances like concerts and stage plays. 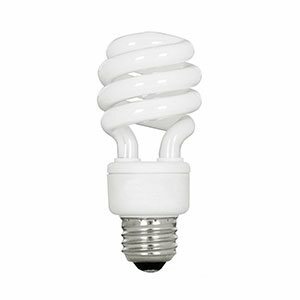 Our selection gives you plenty of options to choose from including induction, compact fluorescent, high-pressure sodium, metal halide, and LEDs. Bulkhead lights are designed to mimic the fixtures used in ships during the industrial era. 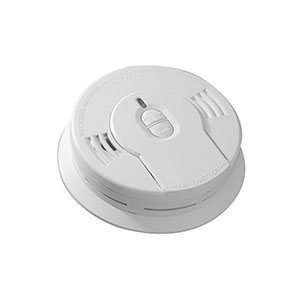 They are commonly used in hospitals, schools, and a variety of other industrial and commercial spaces. 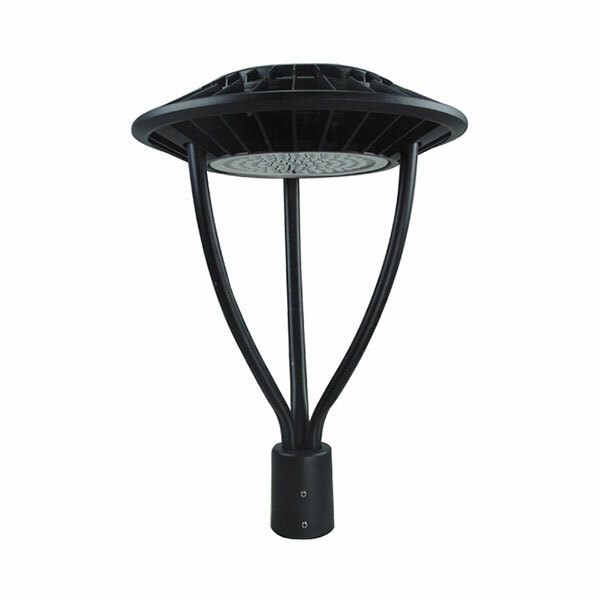 They are great for wet spots and you can choose from caged, round, oval, and hooded fixtures. 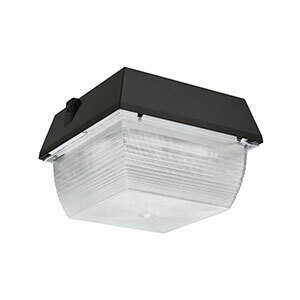 Canopy lights are perfect for garages, underpasses, enclosed entrance ways, loading docks and covered walkways. 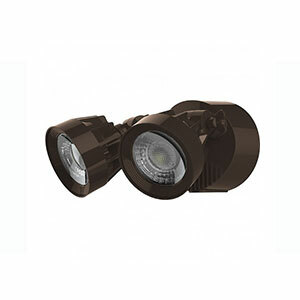 They are also suited for wet locations or areas where vandal-resistant lighting is needed. 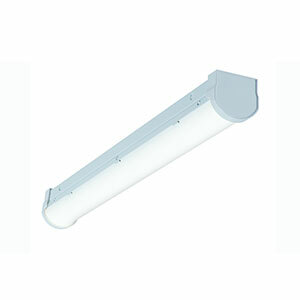 We carry compact fluorescent, metal halide/pulse start canopy lights. High bay lighting is used when large indoor spaces need to be illuminated. 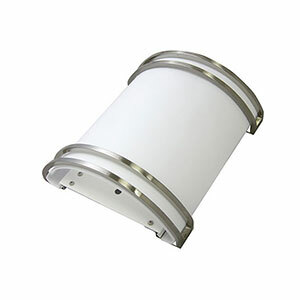 High bay fixtures are therefore ideal for industrial and commercial lighting. 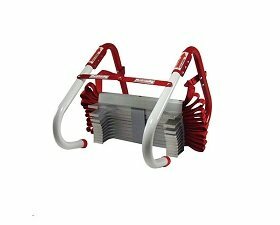 You can find them in factories, department stores, gymnasiums, warehouses, and manufacturing facilities. Choose from compact fluorescent, LED fixtures and metal halide/pulse-start that are non-ballasted or crafted from spun aluminum. Track lighting is actually a technique where commercial lighting fixtures are mounted on a continuous track device that contains electrical conductors. Track lights can be installed to ceilings or walls, crosswise across rafters, or lengthwise down beams. We carry both low and line voltage track lights and accessories. 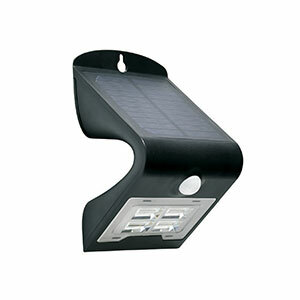 We have battery-powered and LED security lighting. Rest assured that our battery-powered systems, motion sensors, and quartz bullet flood lights will keep your property safe and secured. Vapor proof lighting is designed for use in wet areas as well as those that are susceptible to dirt and dust. 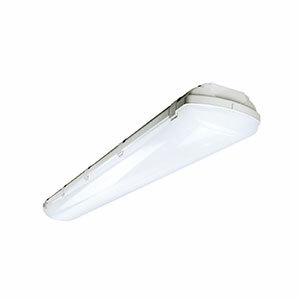 These commercial lighting fixtures feature a clear, heat resistant tempered glass that is also vapor proof. Vapor proof lighting is ideal for rugged locations, where regular lighting would be susceptible to damage and contamination. This type of lighting is used in high-hazard areas, where lighting fixtures must be durable. Subways, barns, laundromats, car wash facilities, garages and walk-in freezers are just a few examples. Temporary structures should still be well-lit. Mobile operations, pop-up facilities or temporary setups can benefit greatly from quality lighting. Using the best lighting helps temporary operations run smoothly and creates an inviting atmosphere. In the case of temporary medical setups, it is especially vital that your temporary lighting is reliable. Our temporary lighting solutions are easy to set up, economical and provide just as good a light source as if you were in a permanent structure. Temporary lighting is ideal for a wide range of construction and maintenance operations with features designed to meet the demands of industrial applications. It is also great for tent and tunnel lighting, emergency medical care, portable shelters, and utility maintenance. 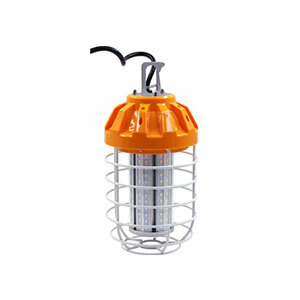 We carry temporary caged light stringers, lamp guards, sockets, and dock lights. 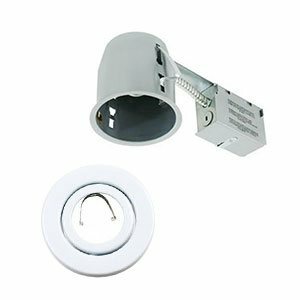 Recessed lights or downlights are metal light housings that are mounted above the ceiling line. Since they are installed inside the ceiling, only the bulb, trim and a section of the inner baffle are exposed. 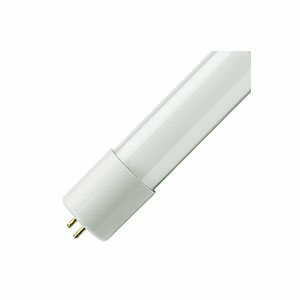 We carry CFL, LED, halogen and incandescent recessed lights and accessories. Under cabinet lights were initially used solely for the kitchen, but today they are also being installed to light office spaces, coves, desks and shelves. 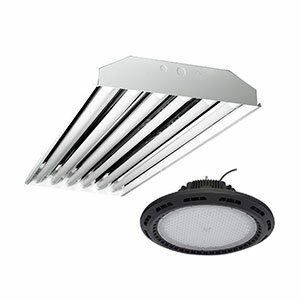 We carry fluorescent, LED, and xenon options. 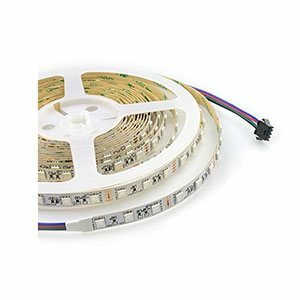 Get versatility in style and size with our LED troffers. We carry standard 1x4, 2x2 and 2x4 sizes in 3500 to 5000K color temperatures. These fixtures are perfect for hospitals, schools, and offices because they provide energy savings and even distribution of light. LED shop lights are an excellent addition to shop areas or industrial workspaces. You can turn them on by pulling a chain that’s integrated within the fixture. 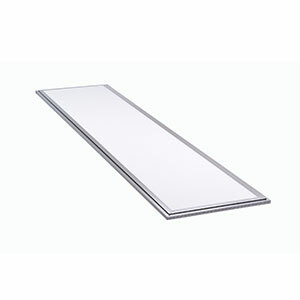 LED wraparound lights are identical to fluorescent troffers, except for the fact that they are thinner, surface-mounted, and don’t require separate bulbs. 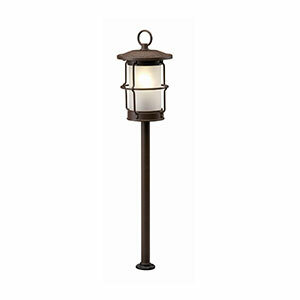 They are typically used for utility lighting in garages and stairwells. LED landscape lighting are highly energy efficient and are used to illuminate all sorts of sceneries including patios, decks, ponds, fountains, and more. We have bullets, bollards, step lights, pathway lights, and in-ground well lights that are available in different colors and styles. 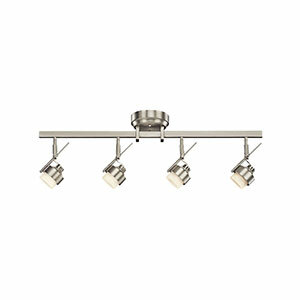 LED low bay lights are used to illuminate spaces with lower ceilings. They have diffusers at the bottom of the lights which reduce the reflections caused by lower ceilings. 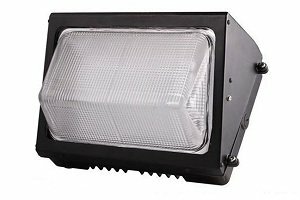 These attractive and functional fixtures are used to replace standard HIDs to illuminate yards, driveways, and work stations. 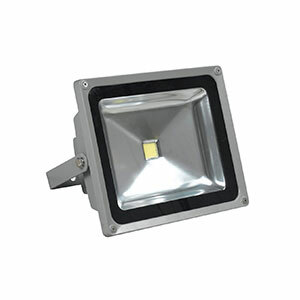 LED area lights are power-saving, architectural flood lamps that are typically used for park, street, and warehouse lighting. 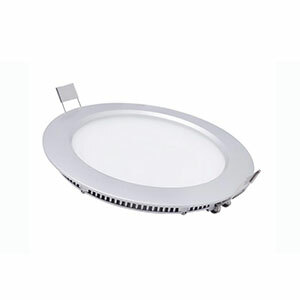 LED pendants are the ultimate lighting accessories for the new millennium. 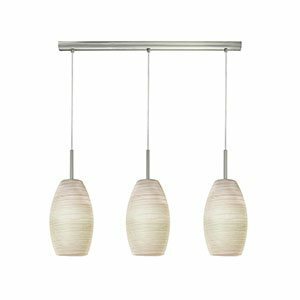 These fixtures are versatile, energy efficient, and virtually maintenance free. LED pendants are perfect for general or task lighting. 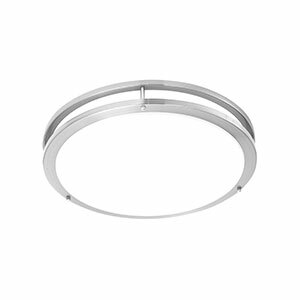 They can be installed as a surface-mount fixture or by using cables and chains. LED dock lights feature heavy duty construction that’s intended to resist the damaging effects of the corrosive and wet marine environment. 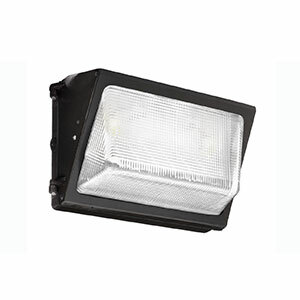 These high-powered spot lights are perfect for shipping and loading docks, as well as equipment and inspection stations. 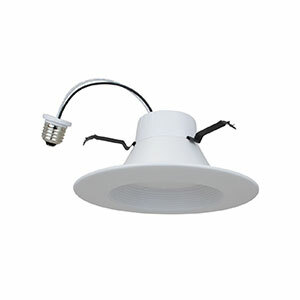 Complete your lighting system with our wide selection of lighting fixture accessories. From wire guards, lenses and lexan guards to LED accessories, retrofit kits, power cords baffles and glare shields…we have it all! They are available and ready to ship today! Mr Lighting is the best choice for all your lighting needs in Canada. Whether you’re shopping online for lighting or at one of our locations, you can trust our expertise and quality products. Looking for LED lights, commercial lighting, high bay lights or decorative lighting for your home? At Mr. Lighting, we offer a wide range of lighting fixtures, from rugged and durable vapor proof lights to pendant lighting fixtures that will tie your living room decor together. We offer free domestic shipping on certain orders, as well as a return policy in the case you’re not happy with your lighting fixture or accessories.